We, at BDE Manufacturing Technologies, are very keen to provide our clients with the best possible CNC machining manufacturing and turnkey assembly services. Our vast technical knowledge and advanced manufacturing equipment allow us to deliver high precision products and services at quick turnaround times. Besides this, we are also capable of providing low, as well as high volume production runs. Our equipment and materials are procured from the best sources around the world. This puts us in a strong position to manufacture performance driven, and durable components and products for our clients. 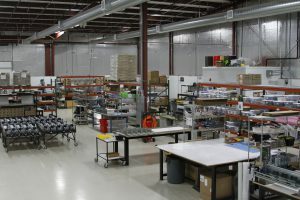 Contract Manufacturing & Assembly Capabilities of BDE Inc.
At BDE Inc., we have an extensive experience in providing contract manufacturing and assembly services in Portland, Oregon. We can work on manufacturing and assembly assignments from conception to completion. We have a team of hardworking professionals, who are keen to provide you with the best-in-class service and make your experience at BDE a memorable one. Do you want to know more about contract manufacturing and assembly services and the other services that we provide? Please contact us at the earliest. You can reach out to our experts via phone or email. You can either call us on 866.262.6233 or send us an email with your requirements and queries at info@bdeinc.com.